Illinois mechanical science and engineering professor Kyle Smith and his co-authors have shown that a new batterylike water desalination device could help provide fresh water to a variety of regions efficiently and economically. CHAMPAIGN, Ill. — Engineers at the University of Illinois have taken a step forward in developing a saltwater desalination process that is potentially cheaper than reverse osmosis and borrows from battery technology. 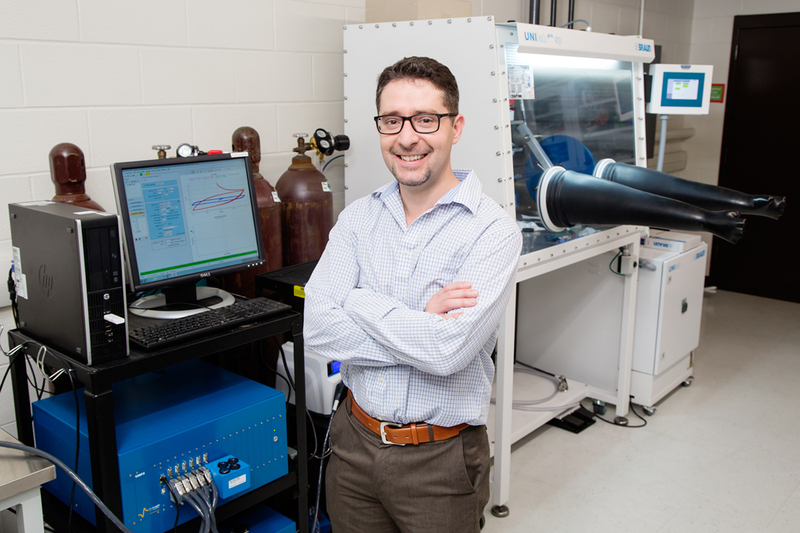 In their study, the researchers are focusing on new materials that could make desalination of brackish waters economically desirable and energy efficient. The new material is a chemical analog to the compound Prussian blue – the intense pigment used in ink for blueprints. It works by taking and holding positively charged ions like sodium within its crystal structure, Smith said. There are other materials that can secure positive ions, but the Prussian blue analog has an additional benefit – it is potentially very cheap to source. The U. of I. department of mechanical science and engineering, the U. of I. College of Engineering and Wetsus European Center of Excellence for Sustainable Water Technology supported this research. To reach Kyle Smith, call 217-300-0928; kcsmith@illinois.edu. The paper “Nickel hexacyanoferrate electrodes for continuous cation intercalation desalination of brackish water” is available online and from the U. of I. News Bureau.